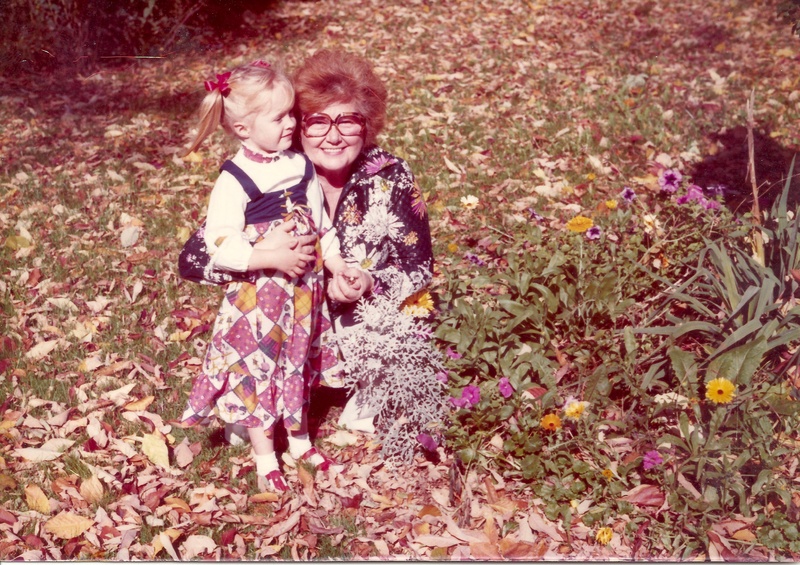 That’s me when I was 4 with my grandmother standing out by one of her wildflower beds that was holding onto Summer despite the leaves falling all around. I’ve always loved this picture & how our outfits were matching the flowers. Very 70s. Springtime always make me think of her garden. 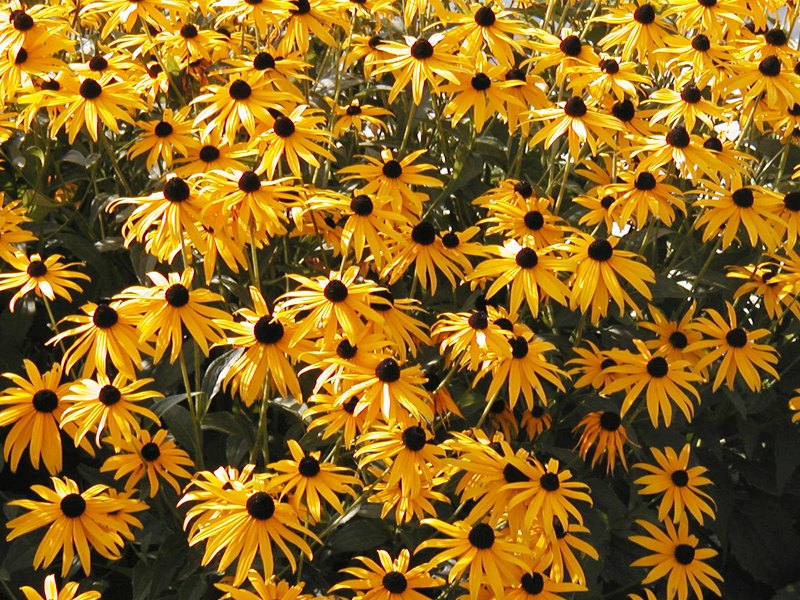 Every year, she would say she was done trying to battle all of the weeds and done with the headaches of gardening, but you’d always find her out there with her Black-eyed Susans and whatever else struck her fancy that year. Her garden was the pathway to the pool where my sisters & I spent a good bit of our summers as kids in Pennsylvania. My Mom then carried the torch when we moved down to SC. There was a community garden she would work in each summer trying her damnedest to grow roses despite all that often worked against her. A good bit of the time she prevailed and the house would be filled with sweet smelling roses. When I was home I liked to go over with her in the evenings to help water. 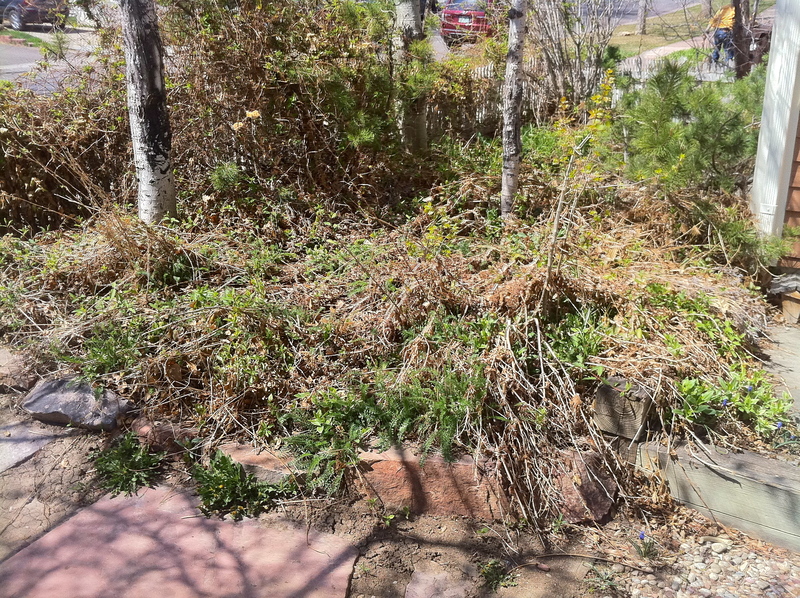 My favorite was watering the wild mint growing around because it smelled so good. 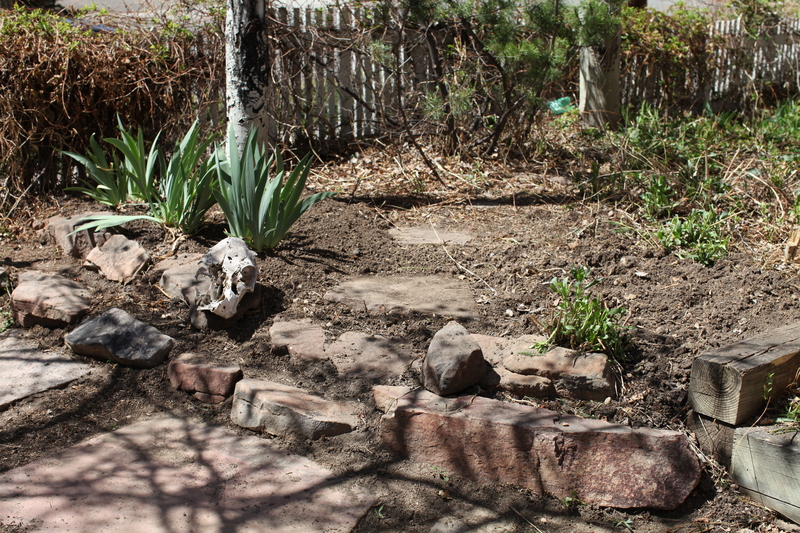 This past Saturday was one of those first perfect Spring days and just about everyone in the neighborhood was outside planting something. We are only renting our house and are supposed to have landscapers that take care of everything, but for some reason they always “forget” the front part of our house which is the part we see the most of. I like to joke there’s probably a dead body buried in there. Needless to say, it’s not a pretty site to look at, so my husband and I finally decided to take matters into our own hands. He was a big help in starting to clear everything out, waging war against the honeysuckle vines that had taken over pretty much everything. 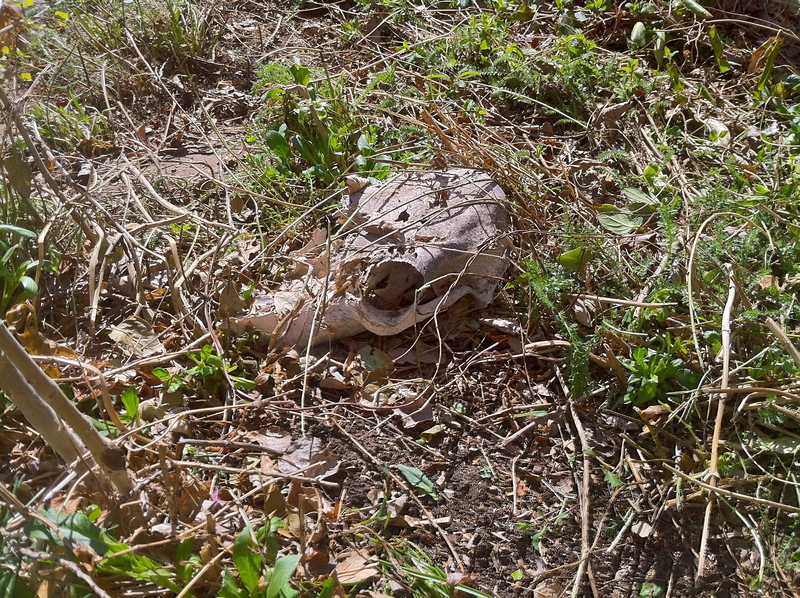 I was wrong about the dead body, but we did find a cow skull in the part we’ve cleared away thus far. We went & picked out some bulbs and seeds together but still need to figure out what all we want to plant. I joked with him that gardening is a great test of marriage because he and I come at gardening from completely different standpoints. He wanted me to draw out a schematic first, including color coordinating everything, whereas I just want plant some of the flowers I like best making sure I plant them where they’ll grow. I think we’ll find a happy medium and it is good to have someone who knows more about gardening than I do. I know a few other people who read my blog that do as well. This week I’m definitely looking for some good suggestions! I know I have a lot to learn but it will just be nice after the hectic pitch last week to be outside getting my hands dirty. We made some headway already but there’s lots more to do. I’ll have to figure out a prominent place for the cow skull. Good Luck this week Darcie!! Let me know if you have any questions on gardening. Can’t wait to see what you have in store. i have a new found respect for what you do Brannon! it is some seriously hard work! the main thing I’m battling is trying to decide whether to actually plant or not given there may be cold weather still. and i’d love to have some help in the yard if you wanted to fly out! It had been a while since I visited web site with such high quality information. Thansk rather a lot for the beneficial info. I found your blog on google and read a some of your other posts. I just added you to my Google News Reader. Keep up the good work Look forward to reading more from you in the future. I am bummed I can’t be here for this fun week. Maybe if you decide the weather is too cold I can get my hands dirty helping you execute. You are currently reading getting out in the garden at 52 To Do.